This week is Bailey and Carson's wedding week and I am beyond excited to be able to be able to celebrate with them! 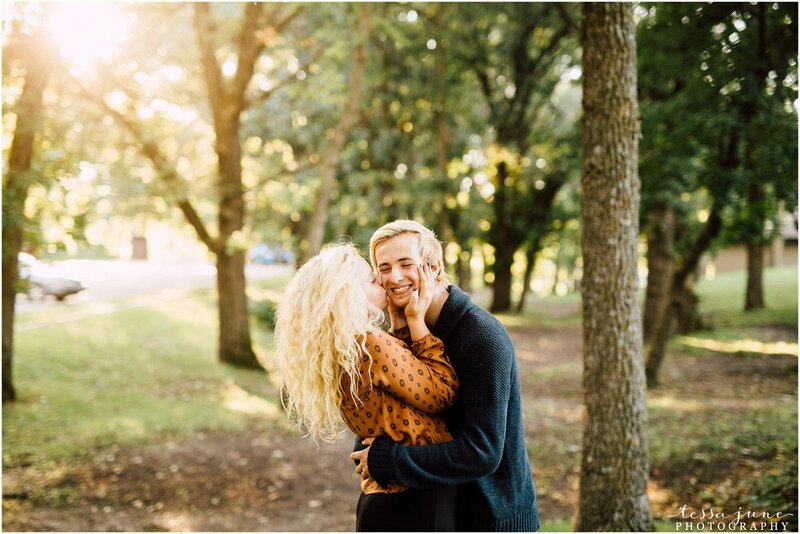 What better way to welcome wedding week than to share some photos from their engagement session this past fall? These two are sure something special. These two love each other so effortlessly that it was sure to flow into the photos and make it a photographer's dream! Their winter wedding this weekend might be a tad bit chillier than what it was during their engagement session but I'm sure the love and splendor will be just as sweet :) I hope you all enjoy the preview of their engagement session that took place at the beautiful Glacial Lakes State Park in Starbuck, Minnesota which is where Carson proposed to Bailey.